As the demand for organic food continues to grow, and as more individuals aim for a career in the organic industry, more colleges have begun offering organic agriculture programs. Even though not all colleges have caught up with organic agriculture trends, you still have some great college programs to choose from. Below are some organic agriculture college program options. OSU is well known for their Crop & Soil Science department, one of the largest departments on campus. Undergraduate degrees and graduate programs in both Crops and Soils are available. This department also operates the OSU Seed Certification Service, the OSU Seed Lab and a research farm of over 350 acres. The department features four student clubs–Crops Club, Soil Judging, BugZoo and Organic Growers. The program also offers a lot of hands-on learning opportunities, such as barley breeding, soil chemistry, cereal grain quality, soil physics, weed management and biology, archeo-pedology, potato breeding, and more. 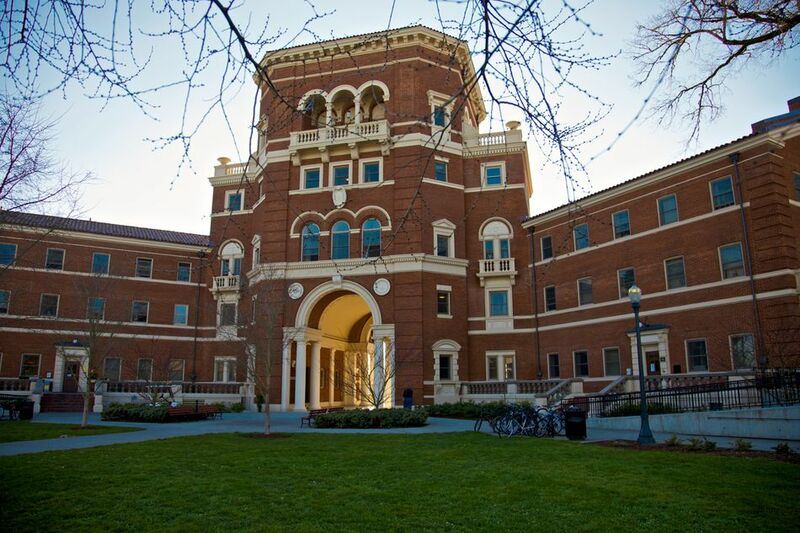 Students interested in soil microbes, wheat breeding, small grain production, weed biology and management, leading-edge biotechnology, archeo-pedology, potato breeding, soil physics, seed production, and other areas of crop and soil science will feel right at home at OSU. The newer UC Davis Major in Sustainable Agriculture and Food Systems is rather unique, featuring a broad range of disciplines grounded in agricultural science. However, students also focus on one of three specific tracks: agriculture and ecology, food and society, or economics and policy. In the end, the goal is a student who has the knowledge, skills, and understanding needed to develop and work in more ecologically, economically and socially viable food and farming systems. Since 1977, the Student Farm at UC Davis has served as a unique learning space, where students can gain useful hands-on experience. Beyond the Student Farm, all students are involved in direct experiences in food production activities and internships focus on various off-campus experiences within diverse segments of agriculture and food systems, such as internships on farms or with government agencies. WSU's mission is to lead in "Scientific exploration, teaching, and extension of plant and soil sciences and in the training of future scientists to improve the quality of life and long-term sustainability of agricultural systems." WSU also features a huge array of learning environments, including laboratory and field facilities, greenhouses, growth chambers, mass spectrometry, controlled temperature germinators, low-temperature storage facilities, seed technology laboratories, tissue culture laboratories, and equipment and facilities for histological, cytological, biochemical, physiological and molecular investigations are available for use. Plus the Department has both turf, dryland, and irrigated field laboratories and advanced field equipment along with extensive facilities for radiation and chemical mutagenesis. Undergrad programs include Integrated Plant Sciences (IPS), in which majors explore the science of plant development and production and Agricultural and Food Systems (AFS) which focuses on building a solid background in the agricultural sciences, including working within the complexity of various agriculture and food systems. The department also offers M.S. and Ph.D. programs in Crop Science and Soil Science. Most graduates of Oberlin's Environmental Studies program eventually pursue advanced degrees in such fields as environmental science, public policy, architecture, business, law, sustainable agriculture and urban planning. Core classes related to natural science, social science, the arts, and humanities are the base of this program, then students can choose from a wide range of intermediate and advanced environmental studies courses, including Nature, Culture and Interpretation, Systems Ecology, and Natural Resource Economics. The program campus is based in the internationally acclaimed Adam Joseph Lewis Center for Environmental Studies, which the New York Times describes as “the most remarkable” of a new generation of environmentally responsible buildings. The Department of Plants, Soils, and Climate offers research, teaching, and extension programs in Plant Science, Soil Science, and Climatology/Biometeorology. Students in plant science majors may apply their knowledge to any number of careers involving plants, from crop consulting to nursery management to water conservation and more. Utah State is also recognized as a leader in soil science. The department boasts expertise in all of the soil science specializations, offering courses in soil chemistry and fertility, microbiology, genesis and classification, physics and conservation. Many organic and sustainable specific courses are offered throughout the department. Majors in the Plant and Soil Science Department include both Ecological Agriculture and Sustainable Landscape Horticulture. These programs expand upon science, applying it to plant production, landscape design, and environmental issues related to plants, insects, soil, and water management. Students study plant/soil ecosystems that are managed for food, feed, or fiber production, for landscape purposes, or for recycling/waste utilization. Disciplines represented include entomology, soil science, horticulture, landscape architecture, agronomy, plant pathology, and water pollution control. Students are free to develop individualized courses of study that match their interests and career goals. The Plant and Soil Science program has a nice bonus of being connected with multiple program clubs that enhance learning opportunities. Additionally, students have access to university laboratories and greenhouse facilities, the UVM Horticultural Research Center, the Entomology Research Laboratory, Constructed Wetlands Research Center, and Center for Sustainable Agriculture, plus opportunities exist for off-campus internships. Prescott features some extra special unique programs within their Environmental Studies department, including Agroecology, a really cool looking summer program that takes place on a 30-acre demonstration and research farm. Also of interest to students aiming for a ​career in organic agriculture are conservation biology, environmental policy and more. The aim of the department is to help, "Develop compassionate, informed, and responsible citizens who are able to offer constructive solutions to environmental problems, and to help heal relationships between people and nature." The Agricultural Sciences major at Cornell is perfect for students with broad or interdisciplinary interests within agriculture. Students in this program are currently involved in numerous sectors of agriculture, including organic farming, livestock production, agribusiness, international development, and research. Cornell's Agricultural Sciences Major is tailored to each individual student, allowing for concentrations in Animal Science, Applied Economics and Management, Crop Production and Management, Education and Communication, and Sustainable Agriculture. Program graduates often pursue careers such as food production and marketing, agricultural education in secondary schools, organic farming, Cooperative Extension, and crop consultation. The Department of Agricultural Economics and Rural Sociology is a smaller program offering numerous agricultural-minded educational opportunities. The department mission surrounds economic and social issues related to agriculture, natural resources, and rural communities. There are undergraduate programs in Agricultural Economics and Agribusiness along with a Master’s degree program in Applied Economics offered in cooperation with Washington State University. The Master's program focuses on how to solve problems faced by agricultural marketing companies, natural resource agencies, farms, ranches, and rural communities. Special extension programs range from community development to risk management and marketing. Multiple undergrad course topics are available, such as farm and ​agribusiness management, ag pricing, rural policy, natural resource appraisal, sustainable agriculture and much more. The Plant and Earth Science Department in River Falls offer six different majors and various minors, including unique interdisciplinary opportunities. Opportunities include topics such as geology to environmental science, conservation, horticulture, community planning, soil science and more. The department boasts unique learning spaces as well, such as two laboratory farms, a greenhouse, specialized teaching and research labs, the South Fork of the Kinnickinnic River and bordering wetlands and natural areas flowing through campus. There's also a well-established internship program in place that allows students to find internships related to their major.